For two decades, Kyle Cook spent the bulk of his musical life as the lead guitarist of matchbox twenty. He co-wrote some of the songs and invented many of the instrumental riffs that have become distinguishing parts in such radio staples as “Real World,” “Unwell” and “Bent.” But plenty of his creative persona was held in check as he collaborated in a team effort. 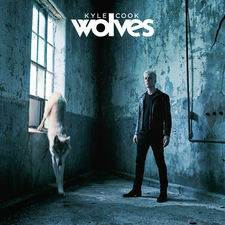 With Wolves, his solo debut, Cook invests so much of himself in the project that a discerning listener can get a good idea of who the guitar player really is. He’s a studied musician with an all-American Midwestern background, a guy who has a penchant for classic rock with just enough classical training to make him dangerous, and an adult whose experiences with the cycle of love and loss are extraordinarily familiar. Wolves explores the complicated progression of heartbreak and healing while shining a light on his musical influences. The Queen-ish guitar tones in “Better This Way,” the Tom Petty-sounding foundation of “Wishing Well” and The Eagles-like harmonies in “I Would’ve Left Me Too” all point to the kinds of popular music – melodic songs with sturdy-but-simple arrangements – that influenced his ascent. The string section in the closing “Silver Lining (Opus)” harkens to the formal orchestral training he received at the start of his musical journey. Meanwhile, the resigned anger in “Would It Kill You” and the haunting loneliness in “Ghost Towns” point to the difficult personal struggle he endured with the breakup of a long-term marriage. It’s all delivered with a fuzzy, guy-next-door vocal quality that makes Cook a bit of a rarity: a rock star whose restraint makes him completely relatable. Wolves was a lengthy, four-year exploration that places Cook in a new role. As his life at home evolved, Cook had plenty of emotions to work through. Some found their way into co-writing sessions in Nashville, where he moved during the last decade. And when he wrote “Wolves,” a metaphoric folk song that takes stock of dangerous people, he realized he was opening up a deep well that didn’t fit matchbox twenty. “That was the catalyst that spearheaded the whole idea of exploring what those wolves are and what they mean in my life,” he says. That exploration allowed Cook to create songs that fit his own voice, and to break the creative conventions he’d willingly lived with for years, including song length. “Wolves” is barely two minutes long, while the album’s concluding “Silver Lining (Opus)” meshes three songs and one additional chorus in an ambitious 13-minute work. The span between those two tracks demonstrates how willing Cook was to smash the barriers of the standard, three-minute pop song as he explored an internal jumble of emotions. As a result, Wolves is an extremely personal album. But it also carries a universal sensibility. It purposely leaves plenty of room for a fan to adapt the material to their own world. Songs have long been the central motivator in Cook’s musical life. He grew up in isolated Frankfort, Indiana, 50 minutes northwest of Indianapolis. Once he had a car, he was able to get to concerts on occasion in Indy, or even in Chicago, but the radio was much more accessible, and it shaped his musical identity. Cook’s first musical training came on a violin, an instrument he picked up at an opportune moment in junior high. But when Guns N’ Roses released the landmark Appetite for Destruction, Cook was transfixed by the power of rock n’ roll and started learning to play the guitar parts using an acoustic model his stepfather had left in a closet. Cook took it to orchestra rehearsals and played it when the director gave the musicians a rest. Eventually, she made a space in the orchestra for guitar. That led naturally to playing in a series of local bands. Through an ad in Guitar World magazine, Cook discovered the Atlanta Institute of Music, and he convinced his parents their money would be better invested by sending him there instead of to a more traditional college. Cook was aggressive about his studies, working on his musicianship and his vocals in coffeehouse gigs around town, and the school’s president, Nite Driscoll, took notice. When producer Matt Serletic (Collective Soul, Edwin McCain) needed a guitar player for a new band, Driscoll suggested Cook, and Serletic was impressed enough by what he saw to even gift Cook a brand new guitar. That band, of course, was matchbox twenty, and Cook threaded his new guitar throughout Yourself Or Someone Like You, a breakthrough debut album that has been certified by the RIAA for sales of 12 million copies. 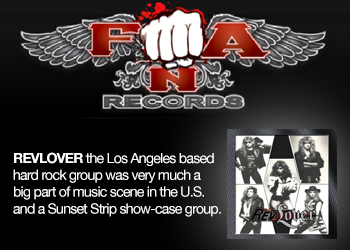 The band hit the fast track to success, and quickly became a headlining act. The songs were irresistible, and that included the instrumental frameworks that held them together. It was, in many ways, the ideal situation. With lead singer Rob Thomas as the focal point, Cook maintained a fair amount of anonymity off stage while still participating in all the rewards that accompany creative success, including the pride of knowing he’d made an enduring contribution to songs that are central to an entire generation. As the industry took notice of his contributions, Cook found additional side outlets for his work, participating in albums by Mick Jagger and John Waite. 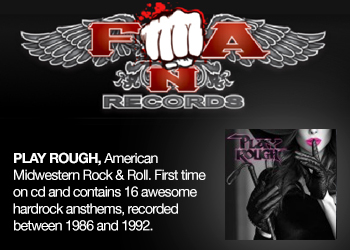 His options grew when he moved in 2007 to Nashville, where he intensified his songwriting and began producing other acts. In the process, Cook began to assert himself more creatively. He developed a side project, Rivers And Rust, built around the interplay between male and female voices. And as a long-term marriage began to fray, he worked through the situation by writing about the emotional toll. It was a difficult journey, and some of the dark corners in Wolves reflect the hardest parts. But invariably, Cook doggedly looked for the proverbial light at the end of the tunnel. It’s why the opus carries that “Silver Lining” title and why Wolvesincludes “Never Goodbye,” a bristling, propulsive song that acknowledges his ex-wife’s ongoing place in his story. Thanks to the self-exploration in creating Wolves, Kyle Cook’s creative life finds a new expression in a familiar way. 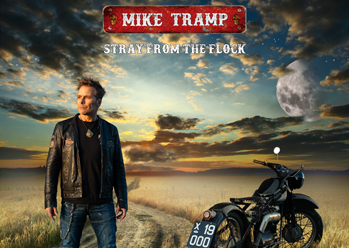 With the solo album, he becomes the singer as well as the lead guitarist. And yet, even in the spotlight, he remains in a supportive role, an artist subservient to his songs. It also points to a new relationship with his audience. He’ll continue to work with the band – “None of us,” he says, “want to see matchbox twenty go away” – but Wolves represents a new format to continue mining his deep artistic well.